Artetude Gallery, Asheville NC's newest contemporary fine art gallery is pleased to announce an upcoming exhibit of photographic monoprints by Robert Asman, entitled "Flesh and Vapor" from April 10 - May 12, 2013. 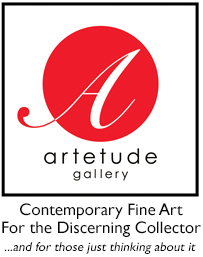 An Opening Reception will be held at the Gallery (89 Patton Ave, Asheville, NC 28801) on April 12 from 5:30pm to 8:30pm. Please click here for more information and an "In about a Minute" video introducing Robert Asman and his work in "Flesh and Vapor".